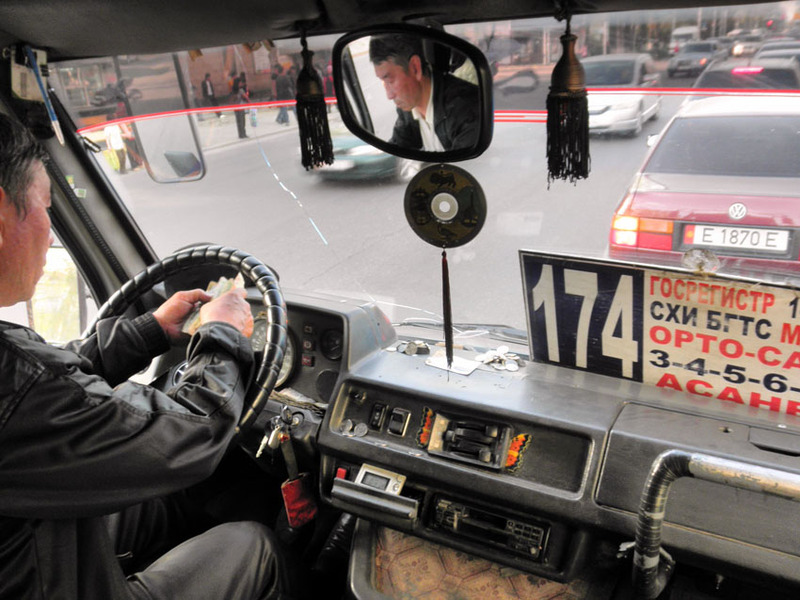 Bishkek - This is a driver of public transportation called “marshrutka". Drivers as Caesar can do few things in the same time: drive, take money, give change, talk, listen music (and other). But because this is public place and they want to feel like at home they like to decorate working place.